Affordable prices, Unlimited KM Per Day and Super Cover for Mercedes (GLC and C180) / BMW (new generation F30) / Landrover Discovery Sport Luxury Car Rental in South Africa! For most rentals, only pay when collecting your car and not during time of booking! All South Africa Airports and Cities, including Cape Town, Johannesburg, OR Tambo Airport, Pretoria, Sandton, Midrand, Randburg, Lanseria, Durban, Port Elizabeth, George and many more! Trusted Since 2005 – Join over 10 000 Clients and save on your Luxury Car Hire! Book your Premium Car Rental for school holidays and summer well in advance – as availability is always a problem over these periods. 1. Get UNLIMITED KM PER DAY for all luxury rentals 6 days plus. (1 – 5 days get 200 km per day) Super Cover or Standard Cover available. Choose Super Cover for the lower deposit. 2. Book Now – Pay on Arrival (for most bookings). 3. Spend more than R 10 000 on your luxury car rental and receive a 5% Paypal / Amazon Voucher / SA Bank Account Cashback! Spend more than R 20 000 on your car rental and receive a 10% Cashback! We will contact you once you have made your booking for your details. You will receive your cashback within 1 week after your rental. 4. Clear deposit requirements (see below) – no hidden cost and no surprises. 5. 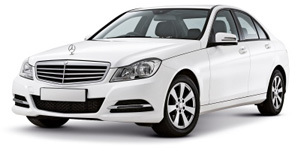 Affordable prices on Mercedes / BMW / Landrover Discover Sport Luxury Car Hire. 6. Included in your Luxury Car Rental Package: One Free Additional Driver, Contract Fee, VAT, Airport Tax, Tourism Tax, Theft Lost Waiver, Collision Damage Waiver & 24 hour roadside assistance. No Cancellation / Amendment Fees (If you did not prepay your booking. Amendment is subject to availability). 7. Hire your premium car from a South African based Car Rental website and First Car Rental, one of South Africa’s largest car hire Companies. 8. SA Car Rental supports you before, during and after your Car Rental. 9. Book Online from anywhere and receive instant booking confirmation. Your Mercedes / BMW / Landrover will be ready for collection at the start of your car hire. 10. Over 27 great South African cities and airports – including Cape Town, Johannesburg, OR Tambo Airport, Sandton, Midrand, Randburg, Roodepoort, Durban, Pretoria, George, Lanseria, Centurion, Port Elizabeth, Nelspruit, Polokwane, Hermanus and many more. 1. Book your Mercedes / BMW / Landrover Discovery Sport for 6 days or longer and receive Unlimited KM. (1 – 5 days get 200 km per day). Book your premium car for school holidays and summer well in advance – as availability is always a problem over these periods. 2. Refundable Deposit Requirement: Please see the Deposit requirement for your desired premium Car group below. The deposit will be held over the Main Driver’s credit card and will be refunded when returning the car in the same condition. Choose Super Cover for the lower deposit. The excess deposit is standard for South African car hire companies, but the info is usually hidden in the small print. We disclose all important information to our Clients upfront to ensure our Clients have the best possible car hire experience in South Africa. Please ensure that you have the refundable deposit plus the total rental amount available on your credit card, the deposit will be refunded back to you when you return the car in the same condition. 3. The Main Driver requires a valid credit card in his / her name, valid drivers license and ID / Passport. The Main Driver needs to be present when collecting and returning the car at the Rental Branch, and must drive the car. 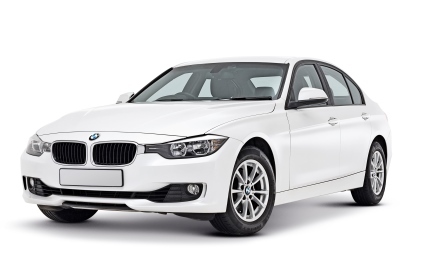 Affordable Luxury Car Hire – Save Money by Booking through us! Get UNLIMITED KM PER DAY on this car group from only R2000 per day. (Unlimited KM for all rentals 6 days plus) Book your car for school holidays and summer well in advance. 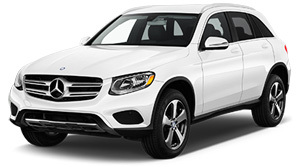 Book My Mercedes GLC SUV Now! Super Cover (R18000 Excess) or Standard Cover (R30000 Excess). (Choose Super Cover for the lower deposit of R 21000). Prices depend on season of rental, length of rental and package selected – click here to view prices and book online. How to get these affordable car rental rates for car Group GS: Total amount required over Main Driver’s credit card: Refundable Deposit for Group GS (R21000 for Super Cover OR R33000 for Standard Cover) + Rental Amount. Choose Super Cover for the lower deposit of R 21000. (The deposit amount is only taken when you collect the car and not during the time of booking) Please ensure that you have the refundable deposit plus the rental amount available on your credit card when you collect your car, the deposit will be refunded back to you when you return the car in the same condition. Please note that no cross border travelling is permitted through SA Car Rental / Cape Spirit – South Africa car rental only. If you have any special requests or require any assistance with your reservation, please contact Ian Gouws on ian@sacarrental.co.za quoting your reservation number. Group G vehicles: Mercedes C180 Classic Automatic Sedan (96%); Mercedes C180 Avantgarde Automatic Sedan (4%). Affordable Premium Car Rental – Save Money on Unlimited KM through us! Get UNLIMITED KM PER DAY on this car group from only R824 per day. (Unlimited KM for all rentals 6 days plus) Book your car for school holidays and summer well in advance. Book My Mercedes Now! Super Cover (R12000 Excess) or Standard Cover (R26000 Excess). (Choose Super Cover for the lower deposit of R 15000). How to get these affordable car rental rates for car Group G: Total amount required over Main Driver’s credit card: Refundable Deposit for Group G (R15000 for Super Cover OR R29000 for Standard Cover) + Rental Amount. Choose Super Cover for the lower deposit of R 15000. (The deposit amount is only taken when you collect the car and not during the time of booking) Please ensure that you have the refundable deposit plus the rental amount available on your credit card when you collect your car, the deposit will be refunded back to you when you return the car in the same condition. Affordable Premium Car Hire – Save Money by Booking through us! Get UNLIMITED KM PER DAY on this car group from only R2000 per day. (Unlimited KM for all rentals 6 days plus) Book your car for school holidays and summer well in advance. 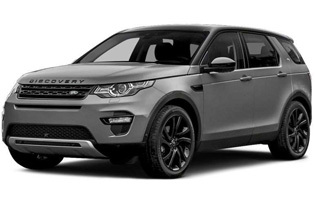 Book My Landrover Discovery Sport SUV Now! How to get these affordable car rental rates for car Group L: Total amount required over Main Driver’s credit card: Refundable Deposit for Group L (R21000 for Super Cover OR R33000 for Standard Cover) + Rental Amount. Choose Super Cover for the lower deposit of R 21000. (The deposit amount is only taken when you collect the car and not during the time of booking) Please ensure that you have the refundable deposit plus the rental amount available on your credit card when you collect your car, the deposit will be refunded back to you when you return the car in the same condition. Affordable Luxury Car Rental – Save Money on Unlimited KM through us! Get UNLIMITED KM PER DAY on this car group from only R812 per day. (Unlimited KM for all rentals 6 days plus) Book your car for school holidays and summer well in advance. Book My BMW Now! How to get these affordable car rental rates for car Group M: Total amount required over Main Driver’s credit card: Refundable Deposit for Group M (R15000 for Super Cover OR R29000 for Standard Cover) + Rental Amount. Choose Super Cover for the lower deposit of R 15000. (The deposit amount is only taken when you collect the car and not during the time of booking) Please ensure that you have the refundable deposit plus the rental amount available on your credit card when you collect your car, the deposit will be refunded back to you when you return the car in the same condition. *Get UNLIMITED KM PER DAY for all luxury car rentals 6 days plus (1 – 5 days get 200 km per day) Book your premium car for school holidays and summer well in advance – as availability is always a problem over these periods.